SALE! now only $25 - hurry save $10 - last one! 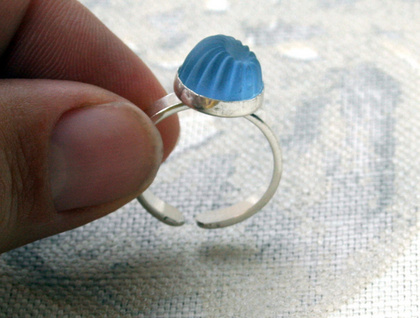 This yummy little ring looks edible! like a jube jube or wine gum type candy. 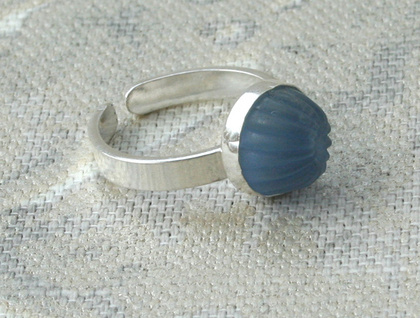 It is a vintage cabochon that is luminescent in color and has been set into a 10mm wide sterling silver bezel. 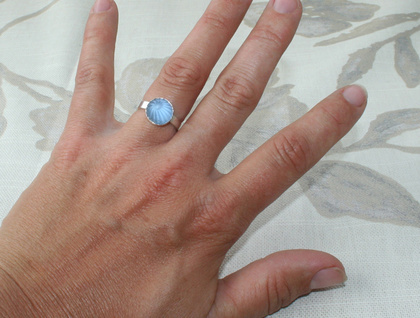 The band of the ring is made also made from sterling silver and measures 3mm wide. The ring band is adjustable, so it will fit a variety of sizes, but if you would like it to be a specific size just let me know in a message to seller when you checkout. 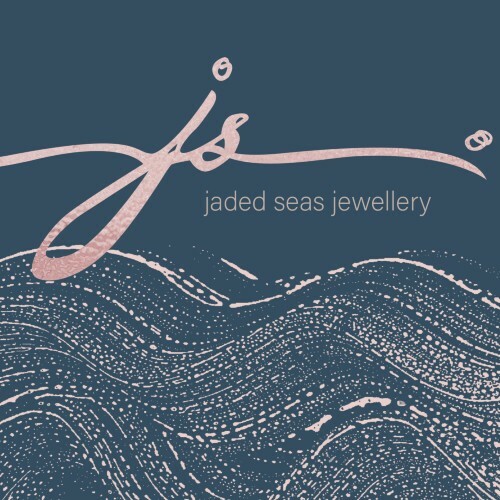 Contact jadedseas to enquire about payment or shipping options.